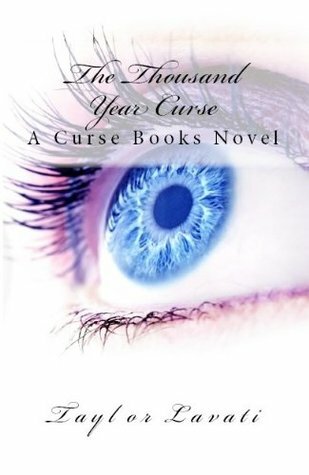 Ryder has to overcome more than her real name Eurydice when she is tossed into the dog house of high school and tormented almost every day by her previous best friend. She feels alone and vulnerable and just wants to make herself disappear, but within the very first month of school the new boy makes her his object of affection. Not too soon after, a second new transfer student gets the hots for her and she gets stuck in a love triangle of mythic proportions. Integrating mythology into a romance story is a great idea, and Lavati starts out integrating the story of love and curse well into her present day character Ryder. Lavati gives the deepest of reasons for Olli and Ari (the two love interests) to be obsessed with Ryder, which gives the book more intrigue and more grounding. Then Lavati goes paranormal. The story gets more myth and less reality all the while keeping the love triangle going strong. It is a story of highs and lows in each of Ryder’s relationship and Lavati keeps the reader wondering who this girl will end up with and who is best for her in the end, both according to the curse and according to how each of the boys’ feel about her. I was entranced by Lavati’s beginning. She hooked me in with the story and the underdog character of Ryder who definitely has some great things coming for her. I was disappointed when Lavati abandoned the underdog altogether to give Ryder some unnecessary superpowers while she is learning to fend for herself in the ultimate battle of her soul. I didn’t think it was necessary for Ryder to have these great powers, but perhaps they will come into more play further in the series. I also thought the love triangle started to become too stereotypical, like that in Twilight, but I’m very glad the guys had a real reason behind their instant attraction. One plot comment I would make is that the adult situations contained in chapter sixteen weren’t necessary for the story line and could have been left out. Overall the author does quite well at involving a myth as a motivation and interweaving the past and present to make an epic of higher than normal proportions with greater consequences and greater possibilities. If romance, especially love triangles, and deepening paranormal leaps is your thing, then this could be the book for you. I recommend this book for anyone who enjoys the steamy love triangle of Twighlight or integrating myths into a novel. This novel was published through CreateSpace Independent Publishing Platform August 12th, 2013 and is available on Amazon here.